Virat Kohli, who is in phenomenal form, has reached yet another milestone as he scored his maiden T20 century against Gujarat Lions during a match of Indian Premier League. Additionally, this feat from Kohli comes on Sachin Tendulkar's birthday, making this century even more memorable for cricket fans. Kohli knocked 100 runs off just 63 balls with the help of one six. 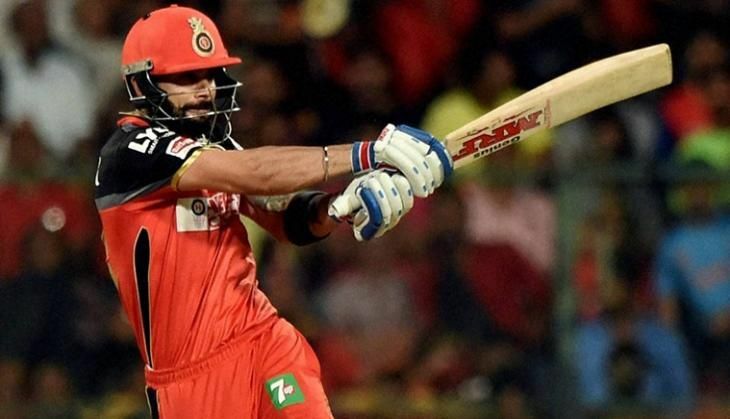 Batting first in the match against Gujarat, jubilant Kohli played a captain's knock and powered Royal Challengers Bangalore to 180-2. After achieving the feat of scoring a century in T20 format, Kohli said, "that was the only thing left till now, never really thought about it, today was the day and I played it through the gaps."